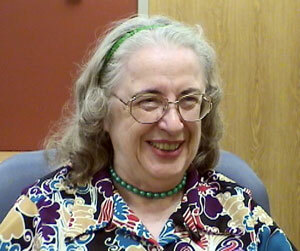 What if growing old didn’t have to mean being obsolete or over the hill? What if, instead, it meant being classic, venerable and wise? What if it meant writing the novel you’ve always wanted to write, or painting, or singing, or teaching, or traveling to a place you’ve always dreamed of? 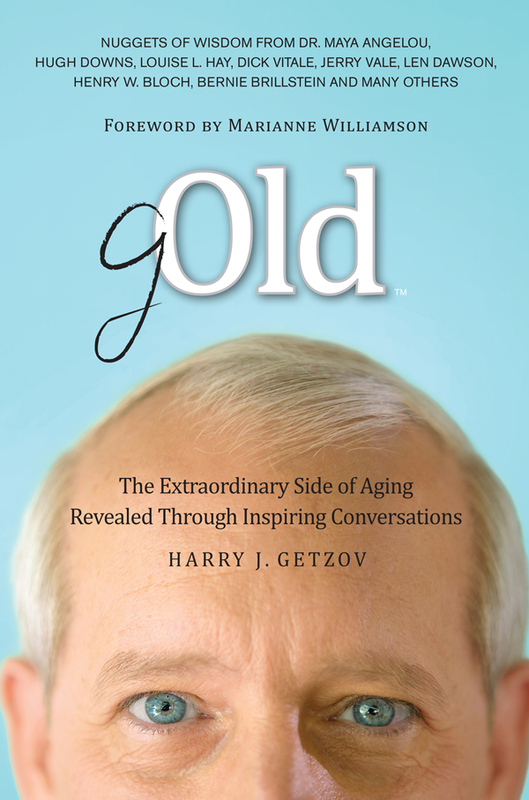 In “gOLD,” Harry J. Getzov introduces us to many of the extraordinary senior citizens he has interviewed from all walks of life as part of the Eldercation project he created to promote the concept of positive aging. Kitchen tables, living room and den sofas, front porches and offices—these are just some of the settings in which Getzov has visited with hundreds of older individuals. These special visits provide these people with an opportunity to talk freely about lessons learned and wisdom gained, and share their feelings about aging—demonstrating that life after 65 can, indeed, be passionate and beautiful. 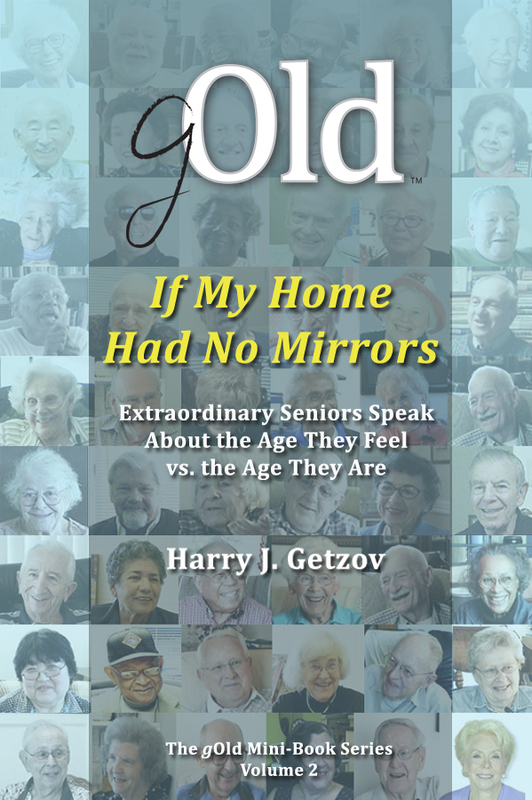 "If My Home Had No Mirrors"
As you spend time enjoying “If My Home Had No Mirrors,” you should know that every single senior citizen who responds to this question ends up reporting that they feel much younger than their chronological number. And that is certainly terrific news for all the baby boomers, isn’t it? Actually, it is good news for all of us! Remember: Old—it’s not a four-letter word. "gOLD" Nuggets interviews Manny Weinstein On Love & Marriage - Some of us -- apparently, very few of us -- are so lucky as to be able to spend our brief time here on Earth with a life-long partner - their valentine. 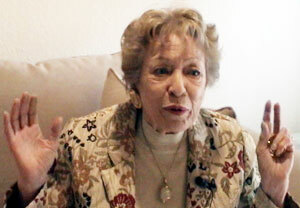 "gOLD" Nuggets: Geneva Carter -- On Health & Wellness - Geneva Carter believed that she was the healthiest woman on the face of the Earth, until, of course, she experienced a life-threatening event. Here, Geneva explains how engaging in "passive exercise" ended up saving her life. "gOLD" Nuggets - Fred Kasica On Health & Wellness: Secret to Success Humor! - If you`re talking pure wisdom and keen observation skills, soaked up over years of living a simple, good life -- an active life -- then Mr. Fred Kasica was, most certainly, something to behold. And a lot of fun to be around, too. "gOLD" Nuggets: On Learning and Education - Bob Danielson has dedicated his life to teaching children -- but not just any children. 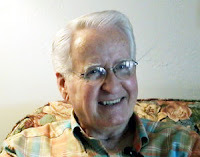 Here, Bob explains what initially attracted him to the field of special education, and why it is a career choice that is not for everybody. "gOLD" Nuggets: Learning From the Elderly - Some people know precisely what they want to do for a living -- right from the get-go. Virginia was one of these individuals. 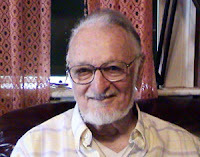 "Speed, Youth Beauty Overrated; Experience an Often Ignored Asset: Time to Take Advantage of One of America's Greatest Untapped Resources: Senior Citizens" - The Press Journal/TC Palm - (December, 2011) - Vero Beach, Florida.